Uptown Chicago History: Happy St. Patrick's Day, Uptown! Happy St. Patrick's Day, Uptown! What we need in Uptown Square is a good Irish pub! 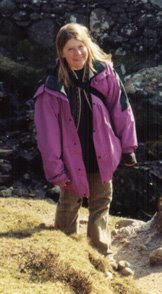 I last went to Ireland in March 2004, and the day before St. Patrick's Day we climbed Crough Patrick. According to legend, this is the mountain where St. Patrick stood when he chased the snakes out of Ireland. That's me about halfway up the side. 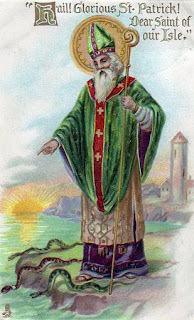 For more vintage Irish postcard images, go to Irish Postcards.